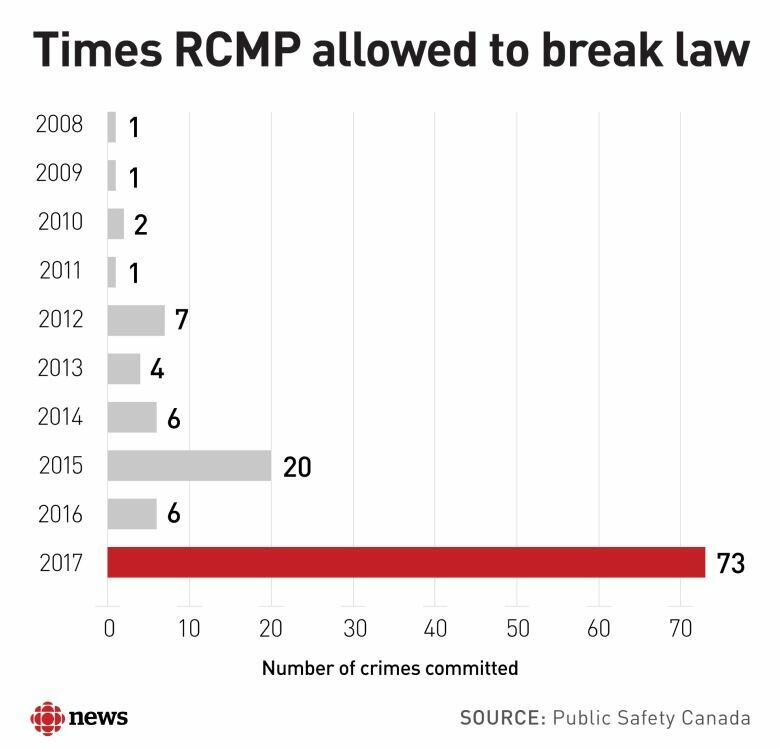 RCMP officers were given permission to break the law 73 times on the job last year — the highest number on record — according to a new report. Police officers are not immune from criminal liability while doing their jobs, but a decade-old tweak to the Criminal Code allows for a temporary dispensation during investigations. The provisions are subject to a legal requirement of reasonableness and proportionality. High-ranking officials can grant permission if they believe breaking the law could save someone's life, protect the identity of an undercover officer or save evidence from being destroyed. In 2017, senior officials gave the green light to 94 scenarios, resulting in the 73 committed crimes. They were mainly linked to organized crime investigations which saw undercover officers taking part in bets, pool-selling, bookmaking and unlawful possession of tobacco products, according to a recent Public Safety report quietly tabled in the House of Commons in late October. Going back to 2003, the first year the report is available, Mounties have committed just a smattering of green-lit crimes. On average, they've been authorized to break the law about six times a year, making the 2017 calendar year an anomaly. The only other year that saw a spike was 2015, when 20 crimes were committed in the name of anti-corruption and terrorism-related investigations. That year, the offences ranged from bribery to unauthorized use of a computer and passport forgery. The crimes vary by year, but often involve forgery and false statements. During a 2013 terrorism investigation, officers were given authority to provide and make "property or services for terrorist purposes." Neither Public Safety officials nor the RCMP would explain why 2017 saw a huge spike. "We are evaluating the increase in the 2016-2017 numbers, but cannot provide any details at this time. We will not speculate on trends related to 2018 statistics," said RCMP spokesperson Sgt. Marie Damian in an email to CBC News. 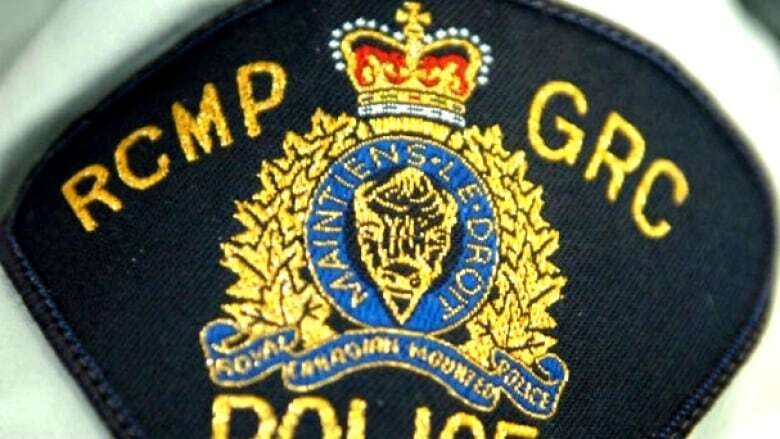 "RCMP procedures and policies governing undercover activities are continually reviewed to ensure undercover operations are applied pursuant to all laws, procedures, and policies governing undercover operations while not jeopardizing the safety of our members, suspects, their families, or the public." 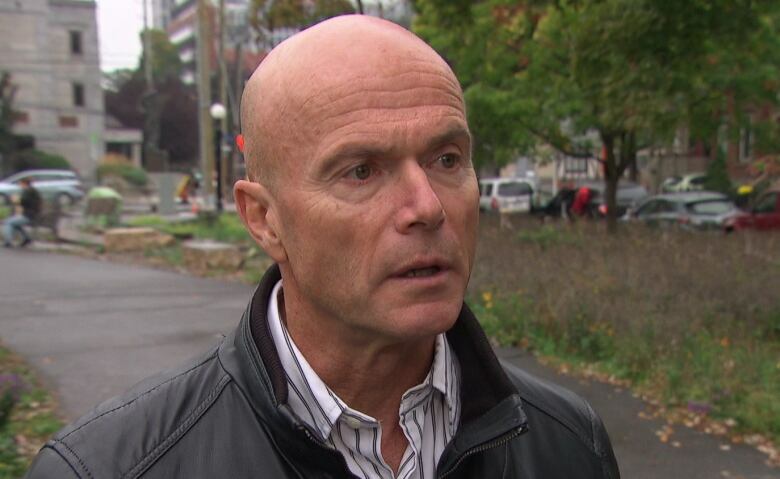 Former RCMP deputy commissioner Pierre-Yves Bourduas said after the Parliament Hill shooting in 2014 some operations and investigations were set aside to focus on national security investigations. "It would make sense for me that all of a sudden the resources that were re-profiled on national security investigations were brought back to look at organized crime and money laundering and these other types of operation," he said in an interview. Bourduas, who now runs PY Public Safety Management Inc., said these operations involve lots of oversight and planning. "These are highly sensitive cases and operations, and you try to work as many possible scenarios and options, because this is a very dangerous type of work. Hence the reason why sometimes you ask permission to conduct illegal activities," he said. "There's also an additional legislative obligation for the officer to report what he's done in the course of his or her investigation because, as we all know, the ultimate consequences, if these officers don't abide by the law, is that a case could be thrown out of court." Under the law, which was introduced in 2002 after a Supreme Court case, officers are never allowed to cause bodily harm, sexually violate another person or obstruct justice, and an annual report summarizing the crimes has to be tabled in the House of Commons. During the past 14 years, there has been just one occasion where a designated officer proceeded without a senior official's authorization "due to exigent circumstances." According to a briefing obtained through access to information, the RCMP asked the federal government to table the 2017 report in June, before Parliament rose for the summer break, but it was put off until late October.